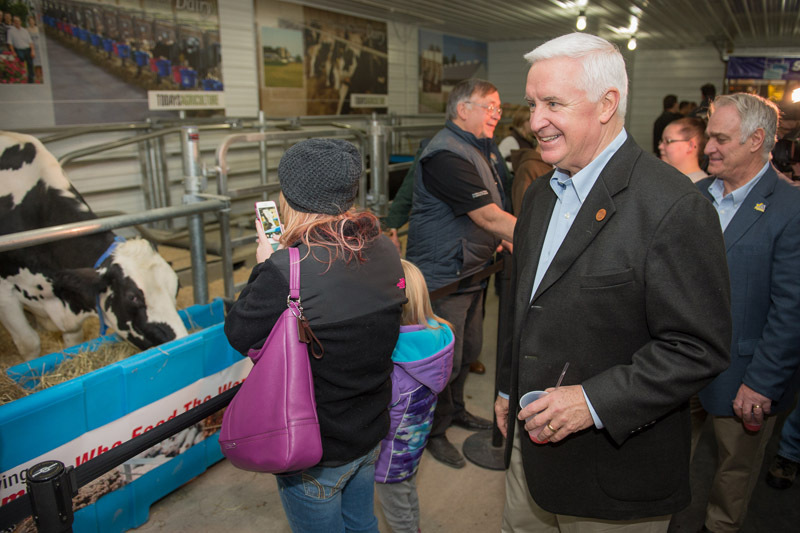 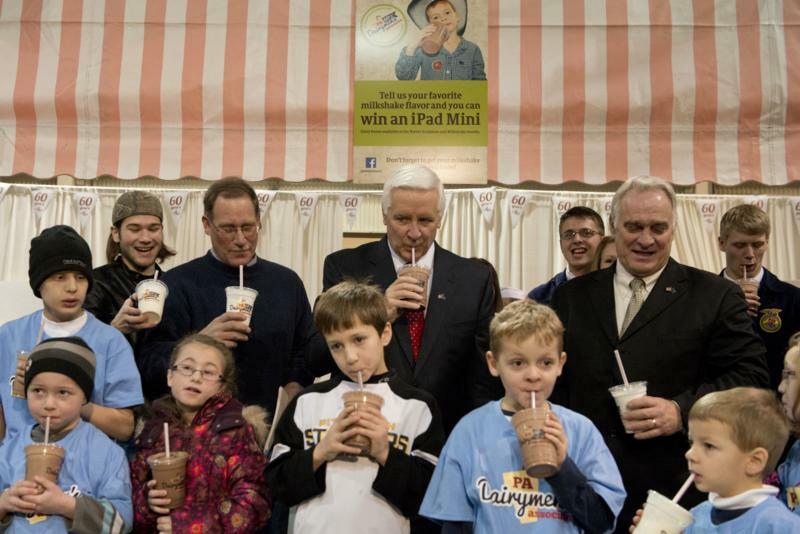 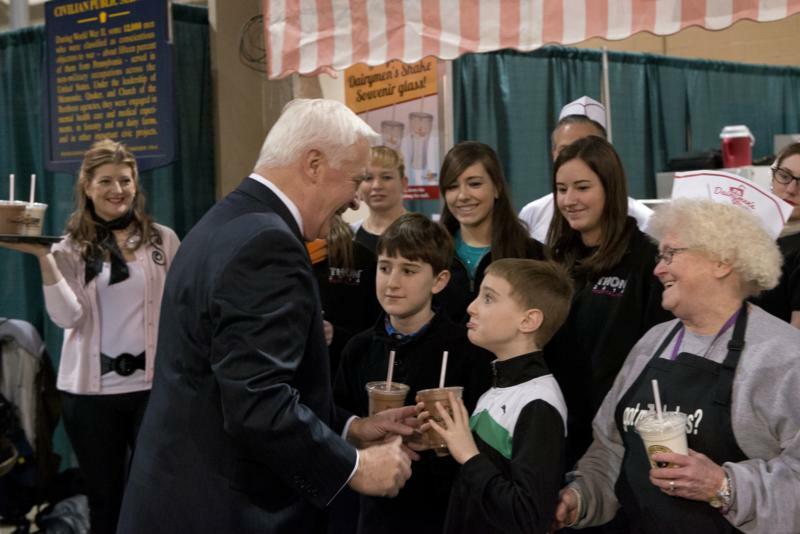 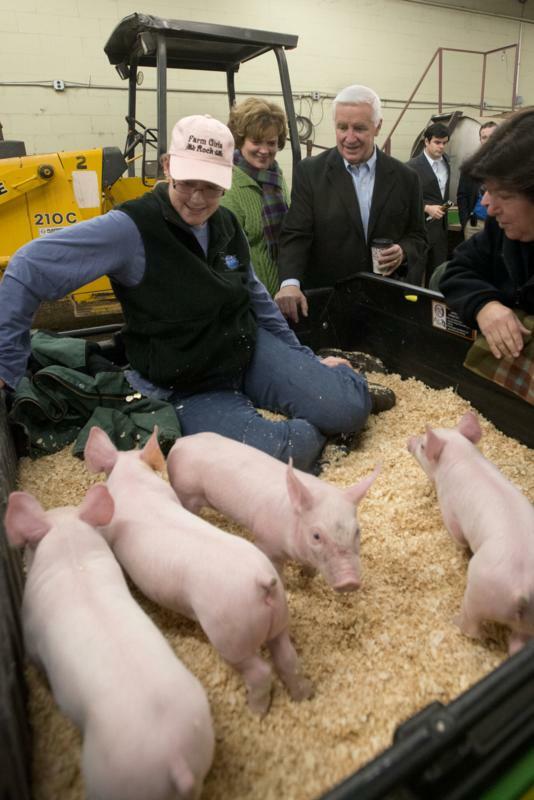 Governor Tom Corbett today joined the Pennsylvania Dairymen's Association and Valley Grange #1360 in celebrating the 60th anniversary of the Dairymen's Association milkshake. 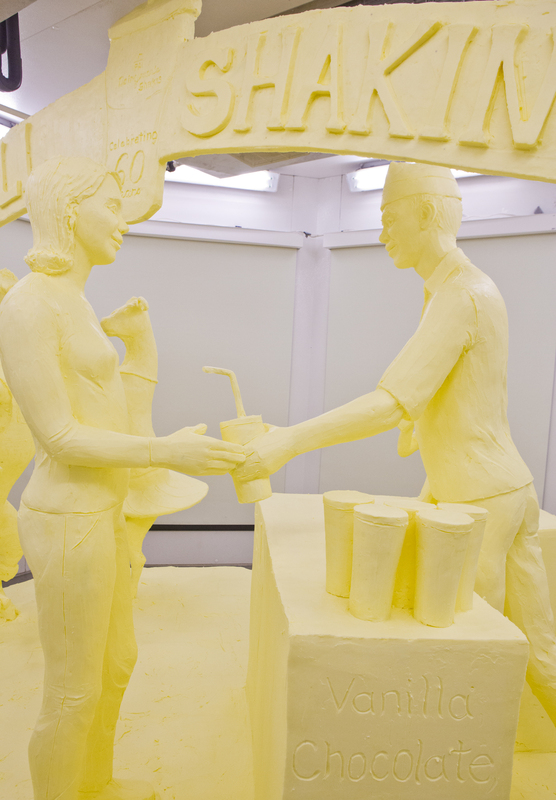 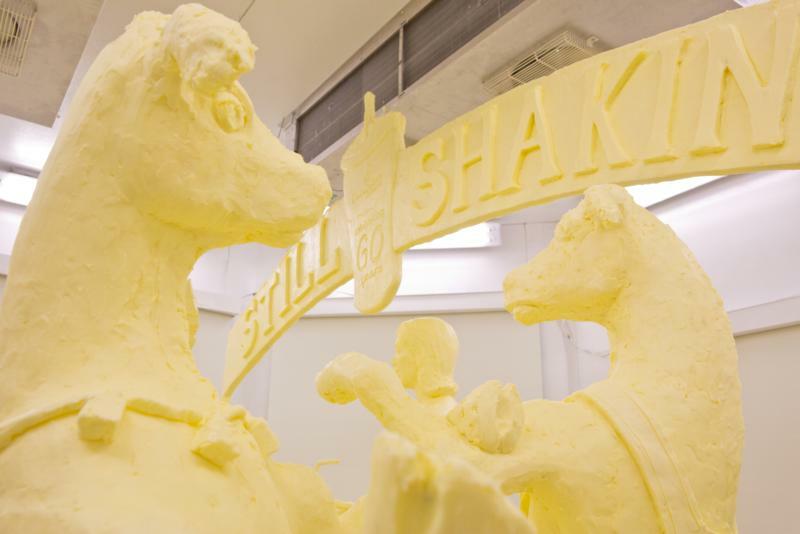 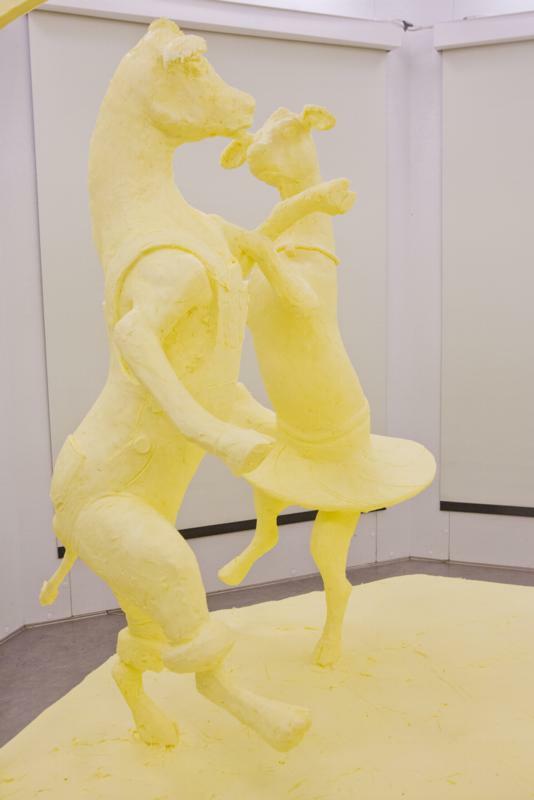 A sculpture made from nearly 1,000 pounds of butter was unveiled today at the Pennsylvania Farm Show, celebrating the 60th anniversary of the show's iconic milkshake served by the Pennsylvania Dairymen's Association. 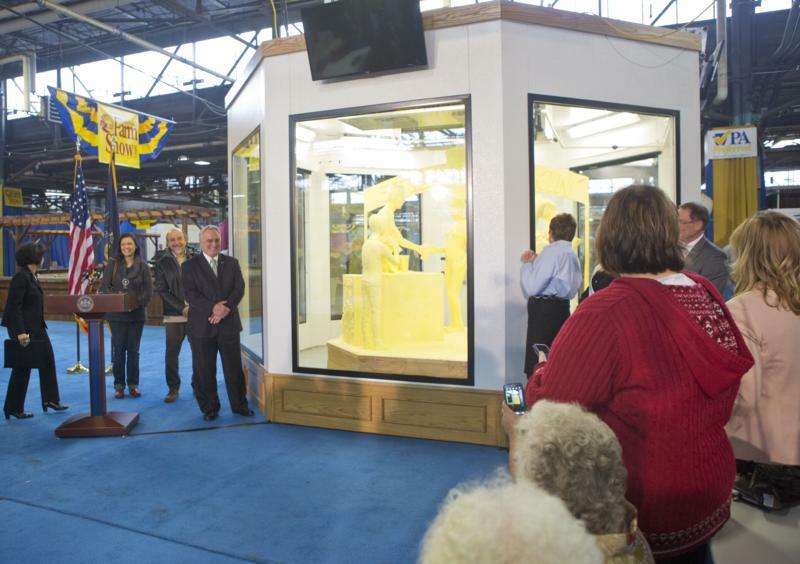 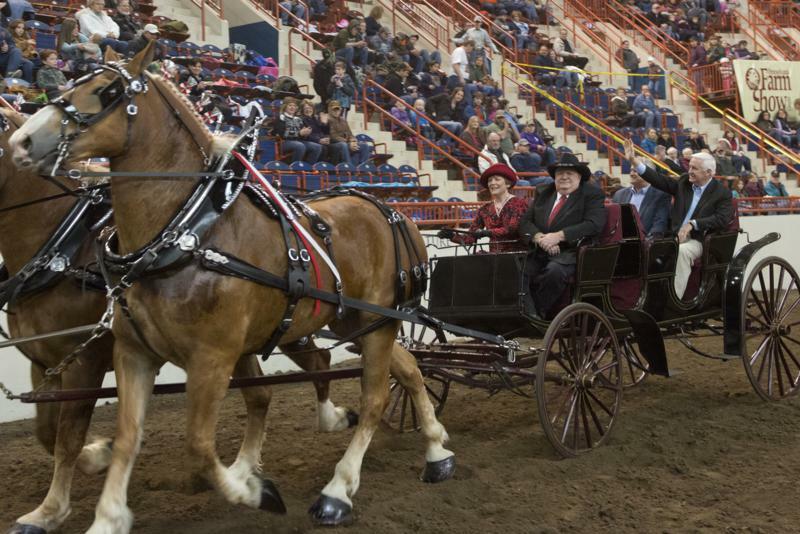 Harrisburg - A sculpture made from nearly 1,000 pounds of butter was unveiled today at the Pennsylvania Farm Show, celebrating the 60th anniversary of the show's iconic milkshake served by the Pennsylvania Dairymen's Association. 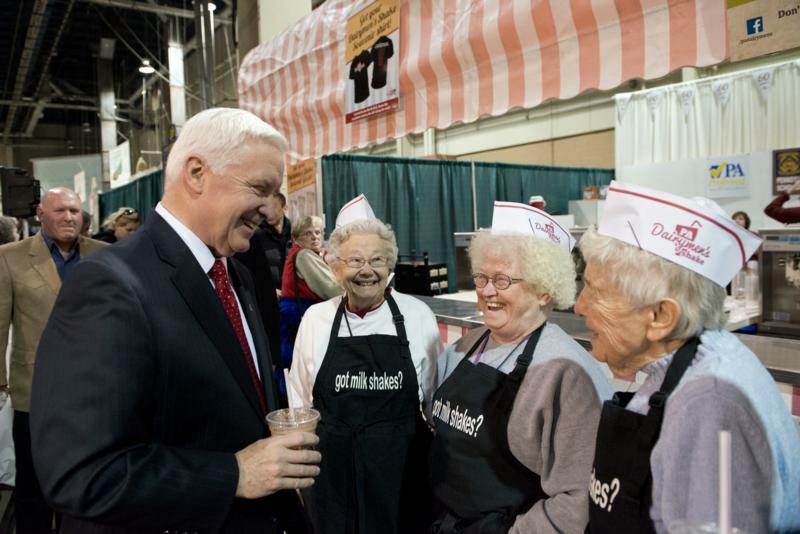 Governor Tom Cotrbett updates the status of the state budget, and renews his call for pension reform. 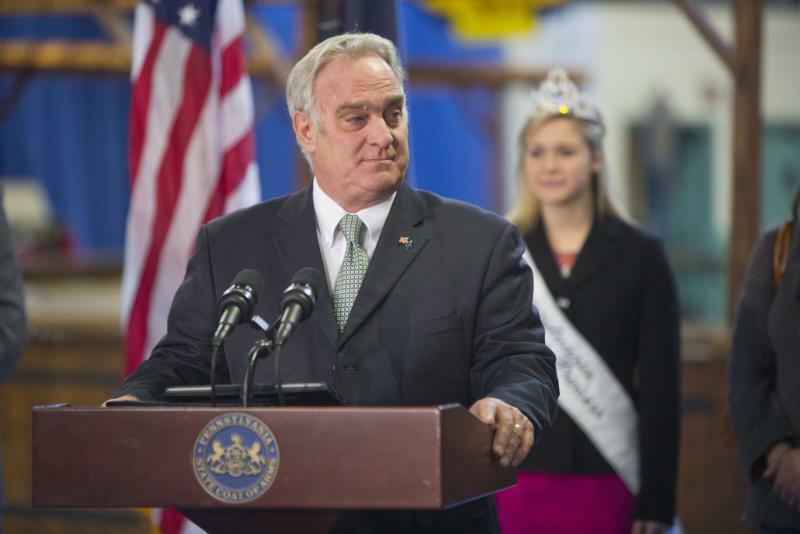 The Pennsylvania Turnpike Commission (PTC) reminds motorists that toll rates will increase Jan. 5 by 12 percent for cash customers and 2 percent for E-ZPass customers. 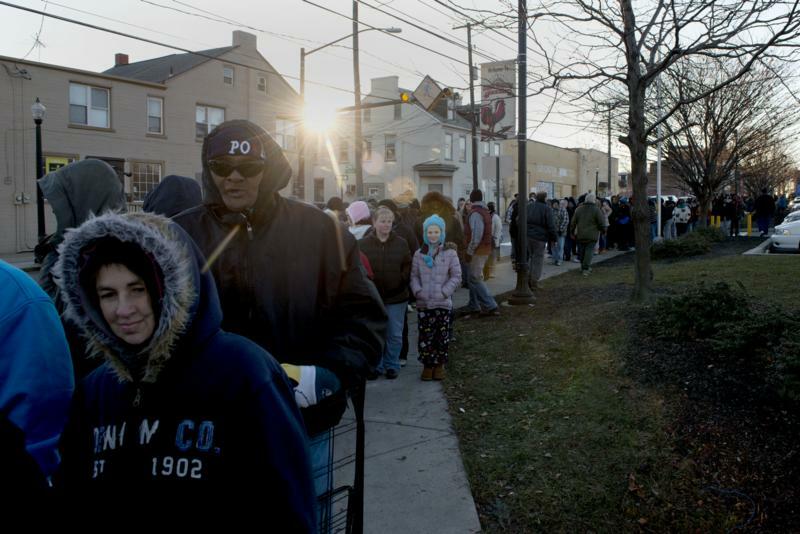 The new rates take effect at 12:01 a.m. this Sunday. 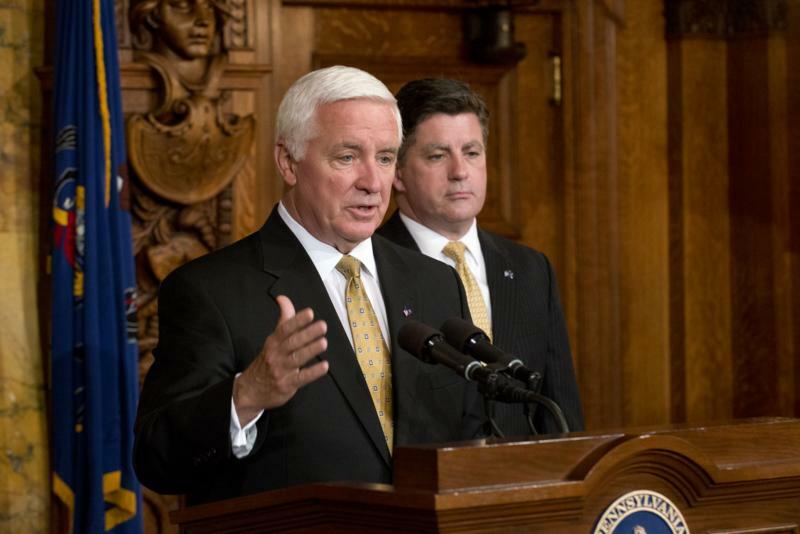 With the increase, E-ZPass customers who now see about a 25-percent savings on tolls will save at least 35 percent compared to cash. 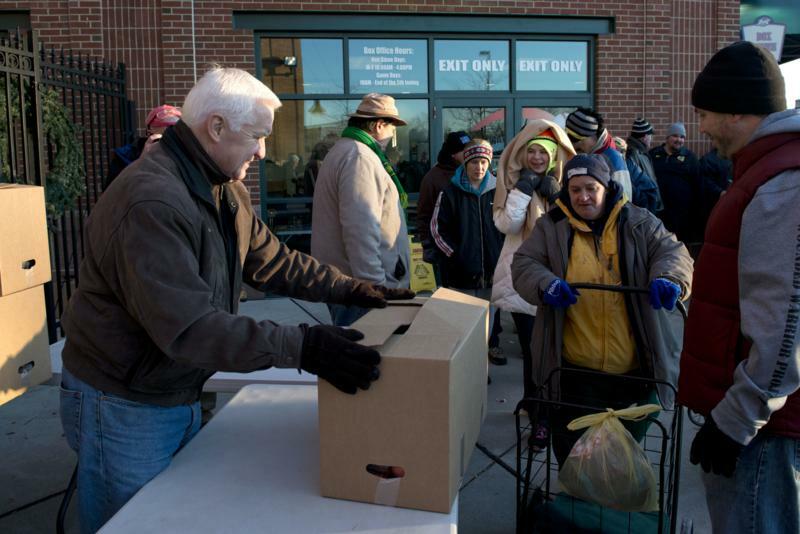 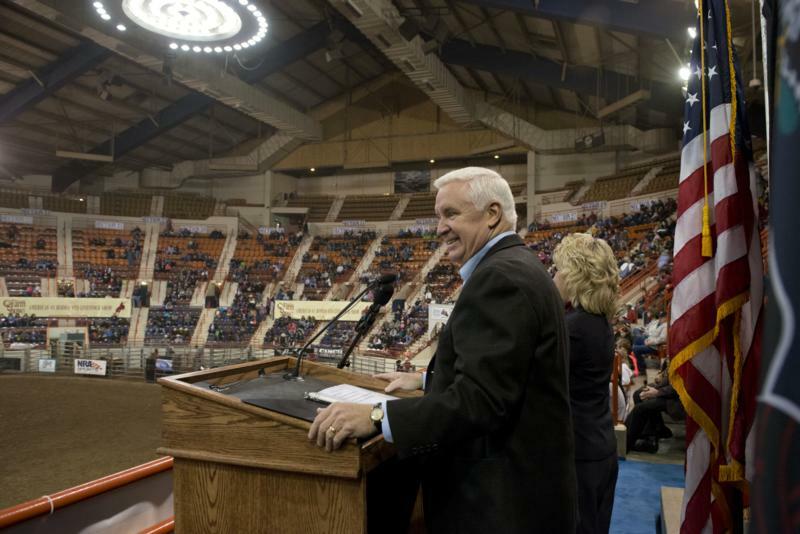 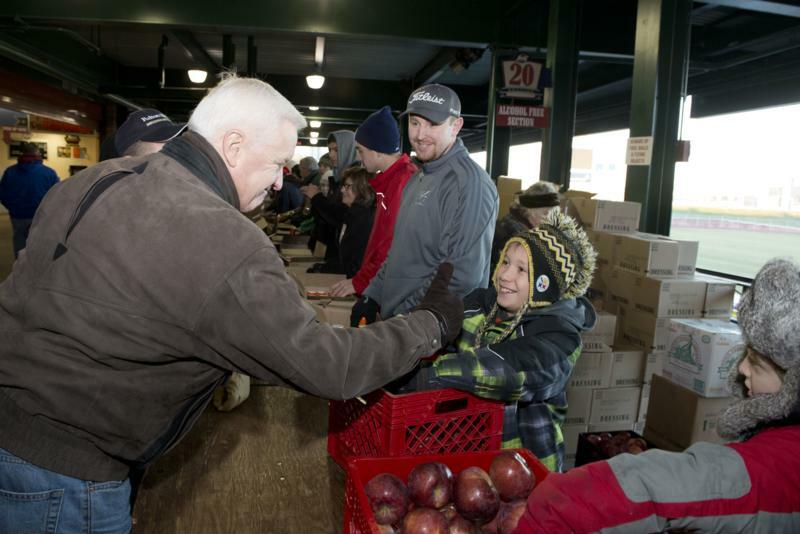 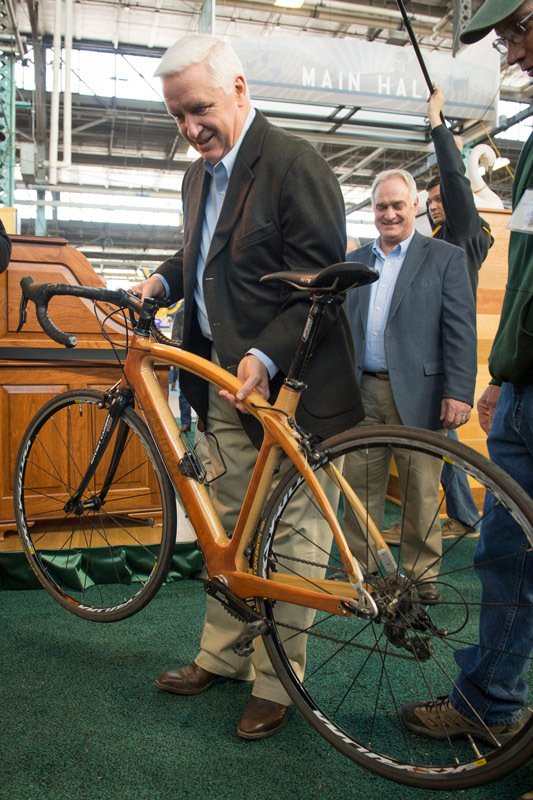 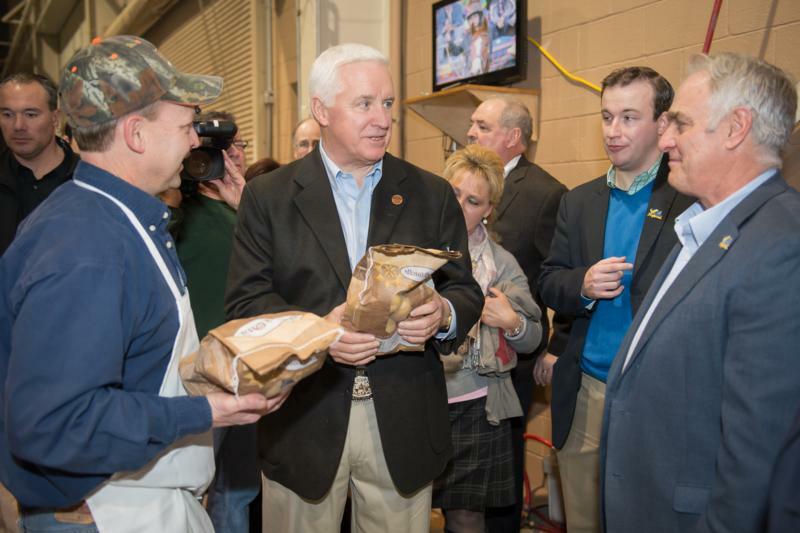 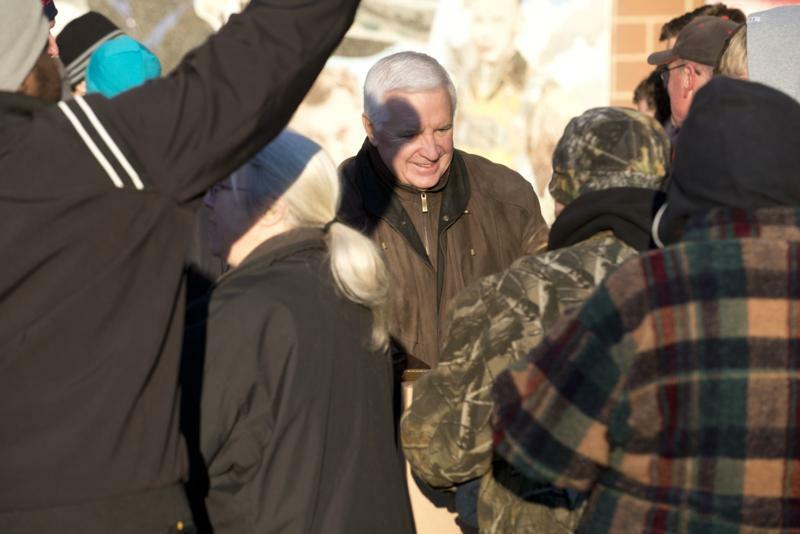 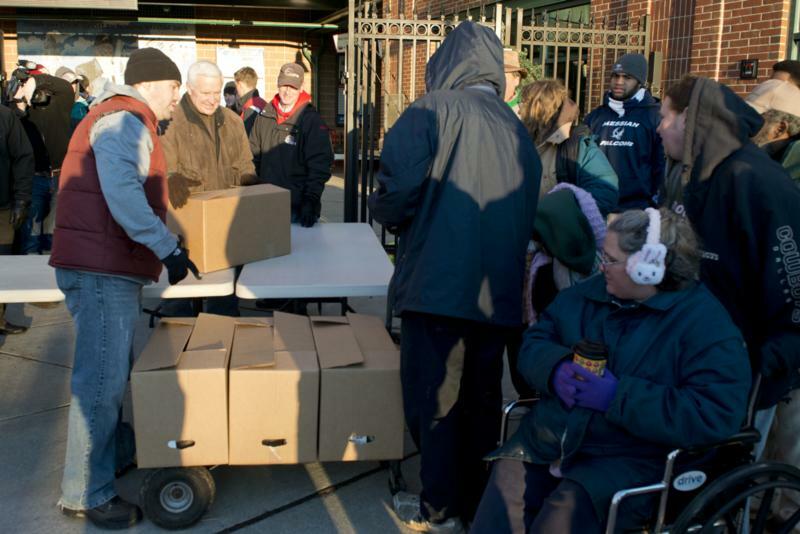 Governor Tom Corbett today joined the Lancaster County Project for the Needy to help distribute boxes of food to those less fortunate at Clipper Magazine Stadium in Lancaster. 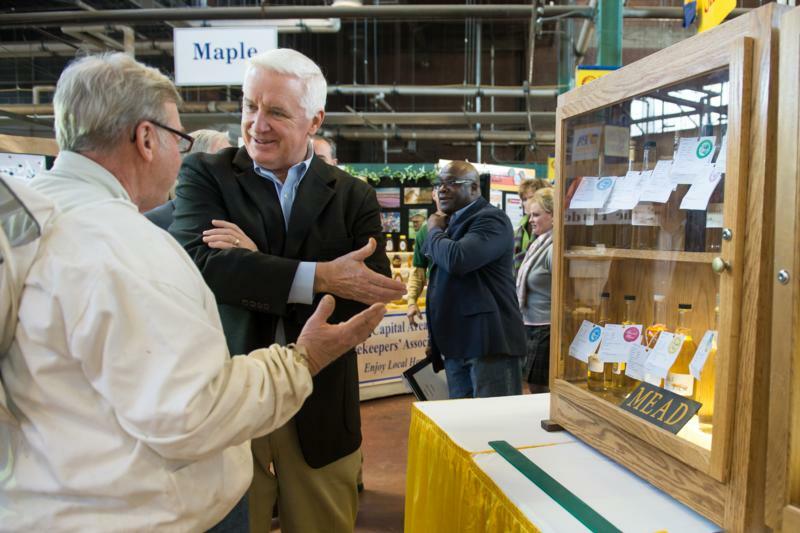 Visit Troegs Brewing Company and learn what is involved in making their 'Master of Pumpkins' brew. 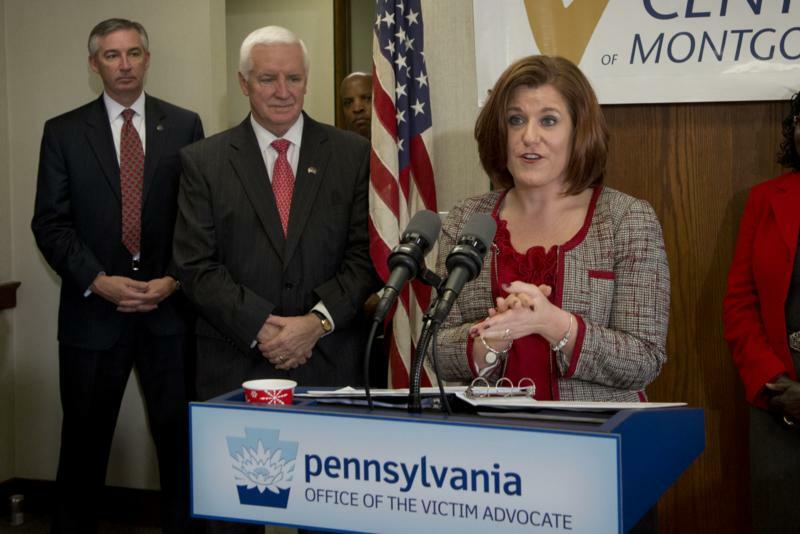 Governor Tom Corbett today joined statewide victim service providers and law enforcement officials and Montgomery County District Court Judge Thomas Rogers for the swearing-in ceremony of Jennifer Storm as the Commonwealth's new Victim Advocate. 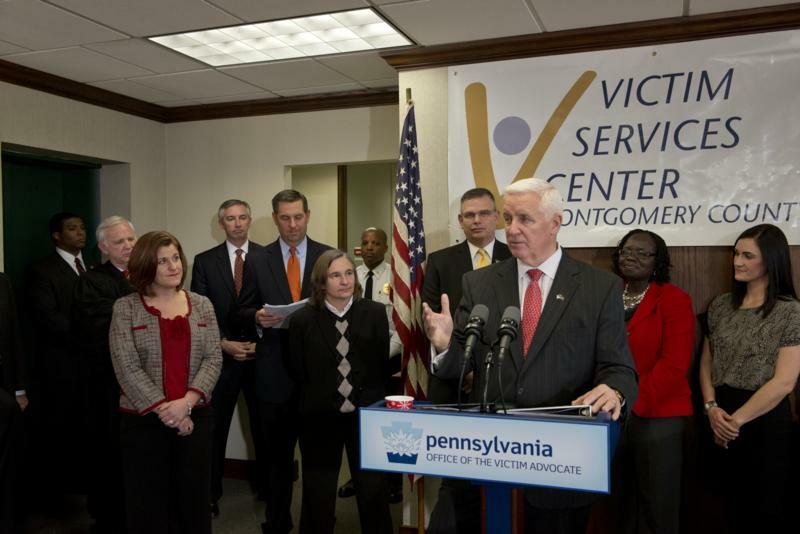 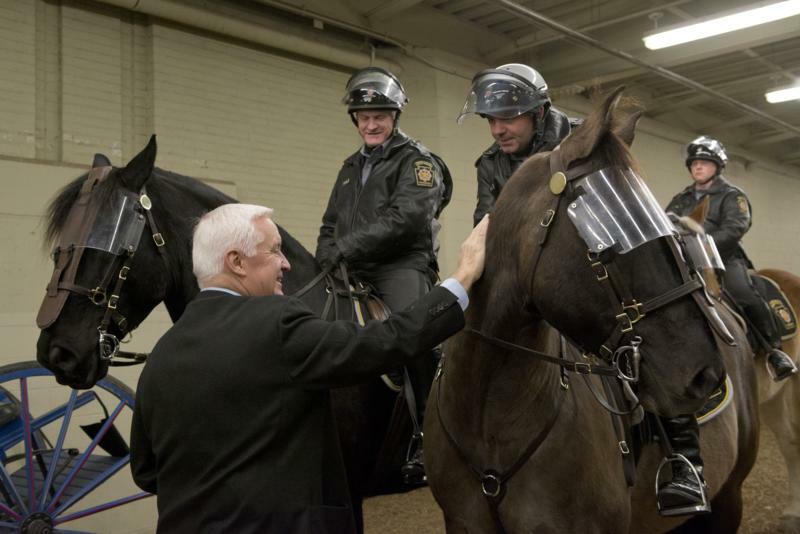 Harrisburg - Governor Tom Corbett today joined statewide victim service providers and law enforcement officials and Montgomery County District Court Judge Thomas Rogers for the swearing-in ceremony of Jennifer Storm as the Commonwealth's new Victim Advocate. 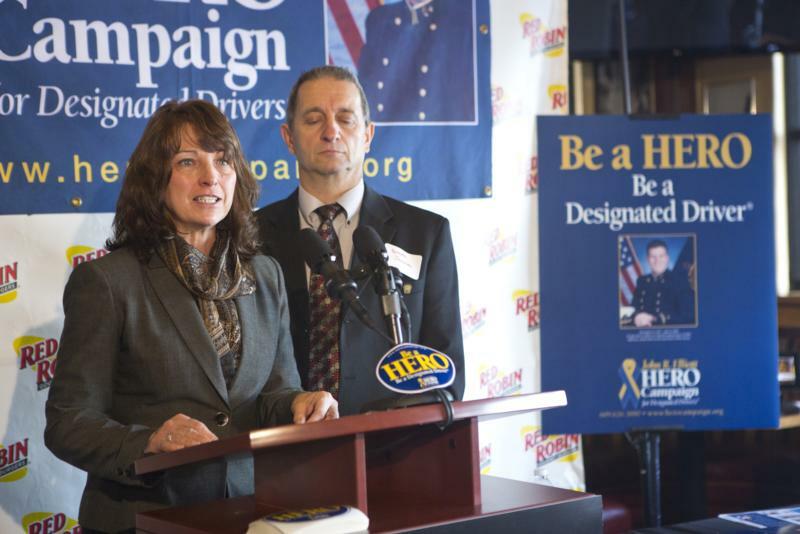 The Pennsylvania State Police, PennDOT and the Liquor Control Board today announced a new, statewide campaign to promote designated driving in an effort to keep drunk drivers off the road. 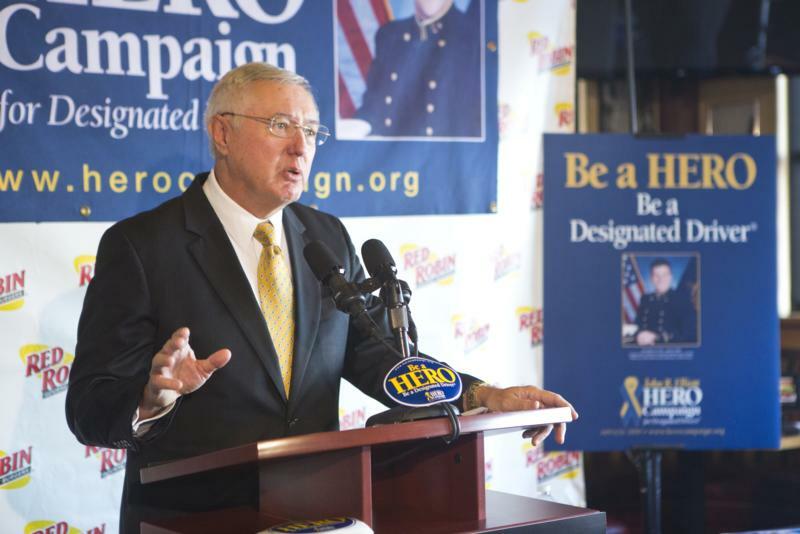 The Pennsylvania State Police, PennDOT and the Liquor Control Board today announced a new, statewide campaign to promote designated driving in an effort to keep drunk drivers off the road. 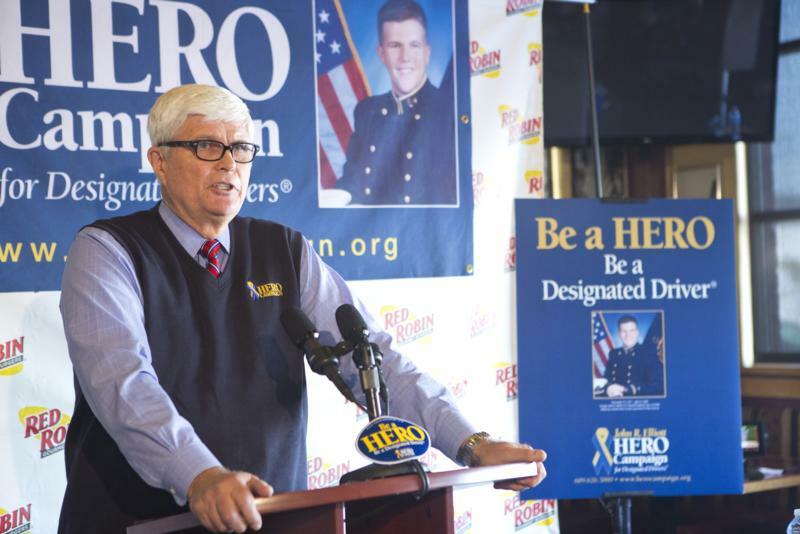 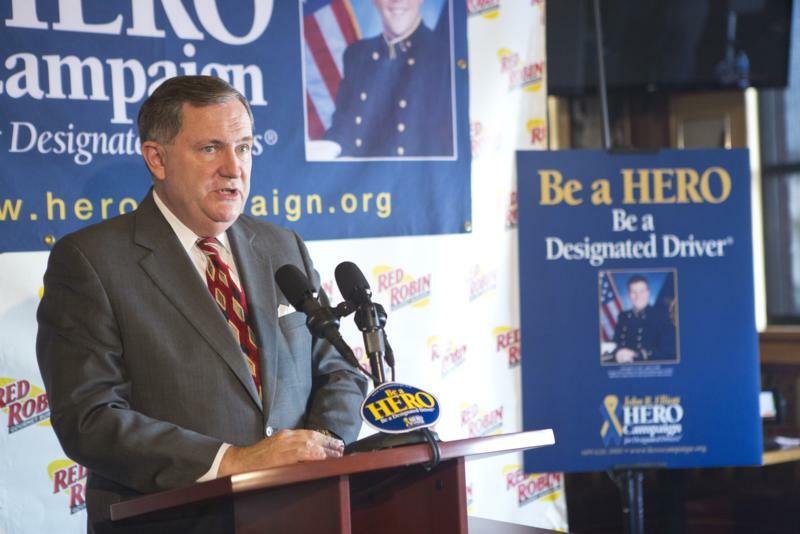 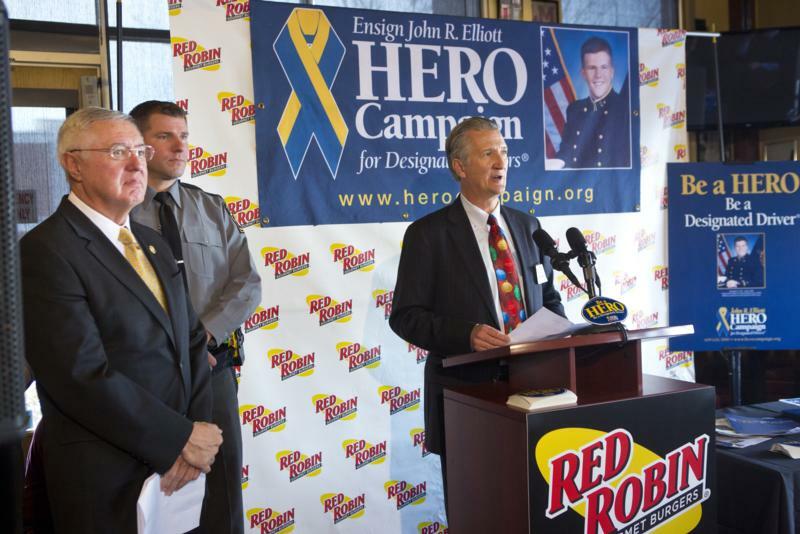 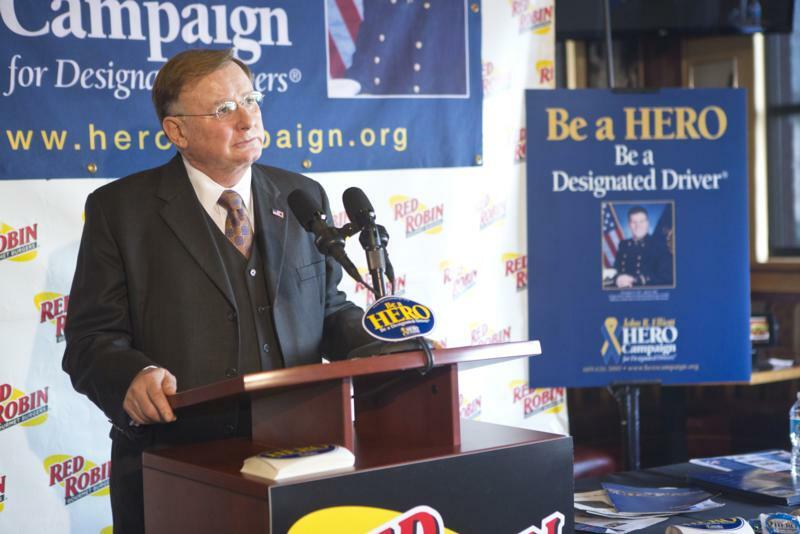 The State Police Commissioner, PLCB Chairman and PennDOT Executive Deputy Secretary joined with representatives of the John R. Elliott HERO Campaign for Designated Drivers to kick off the program aimed at promoting safe and sober driving in the commonwealth.